This week, the spotlight shines on Shellessa Constantine, a student who has grown from a young, aspiring poet to one who left a lasting legacy on her school’s campus and continues to work towards promoting creative arts in schools across South Florida. Shellessa first came into contact with the Jason Taylor Foundation through her passion for spoken word poetry. 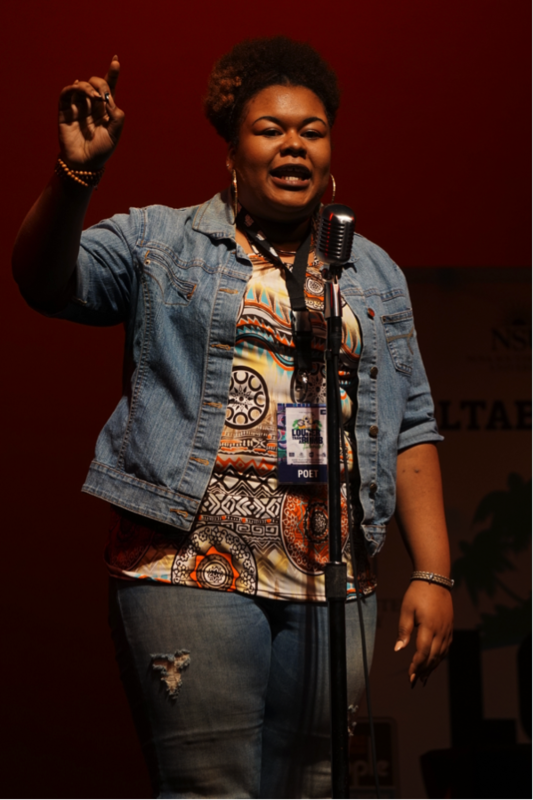 She attended Miramar High School and possessed a strong desire to write and express herself. Shellessa began attending an after school/summer camp through the 21st Century Community Learning Center, a program offered by the YMCA, where she began to develop her writing skills. 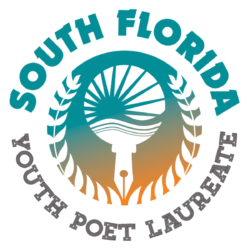 During her sophomore year at Miramar, one of her teachers, Mrs. Vaneisha Clarington who is currently the sponsor for the school’s poetry club, approached Shellessa about competing in Word Up!, an annual teen poetry slam hosted by the City of Sunrise. Shellessa made the final cut allowing her to compete in the competition, which sparked her interest to participate in spoken word poetry events. This interest led Shellessa to begin attending the Jason Taylor Reading Room, a comprehensive after-school program designed to address academic challenges among inner-city youth, particularly in the areas of literacy, located in the city of Miramar’s Youth Enrichment Center. Things suddenly became extremely busy for her as she competed in Word Up! 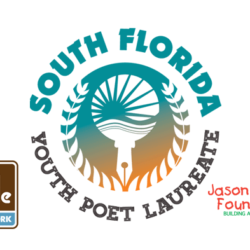 for a second consecutive year, transferred from Miramar to McArthur High School, and was invited by Darius Daughtry, the Omari Hardwick bluapple Poetry Network’s Director of Poetry Programs, to participate in SPEAK!, a group of elite youth poets and performers whose purpose is to entertain, educate, and motivate. Additionally, she was one of a select group of poets to have her work published in the Foundation’s bluapple beginnings book project. During her transfer to McArthur, Shellessa noticed that something was missing in the school. “McArthur didn’t have that culture of performing arts as an outlet,” stated Shellessa. 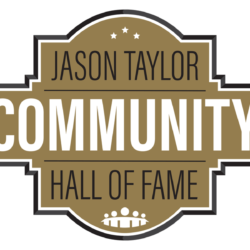 She approached Seth Levit, the Executive Director of the Jason Taylor Foundation, with the issue and Seth suggested she take the initiative to create a poetry club for the school and assisted in the process by meeting with the school’s assistant principal on Shellessa’s behalf. Express the Arts was an instant success and quickly became one of the more prevalent clubs on McArthur’s campus. ETA became a home for poets, visual artists, musicians and dancers, growing to more than 120 members by the time Shellessa graduated. The club continues to host monthly pep rallies on campus, perform at events across the county and is extremely active within the bluapple Poetry Network, participating in virtual showcases, Open Mic nights, the Poetry & Leadership Conference and Louder Than A Bomb Florida. Upon graduation from high school, Shellessa attended Florida Gulf Coast University for two years, majoring in Communications with minors in both Creative Writing and Music. This past April, she represented FGCU in the Louder Than A Bomb Florida College Slam. Currently, Shellessa’s continued belief in the work the Foundation does has led her back to its Weston offices. She is volunteering with the Foundation to learn more about the dynamics of running a non-profit, from administrative needs to program development and execution. Shellessa has plans to attend Florida Atlantic University to continue her major and to “expand my brand” in the near future.